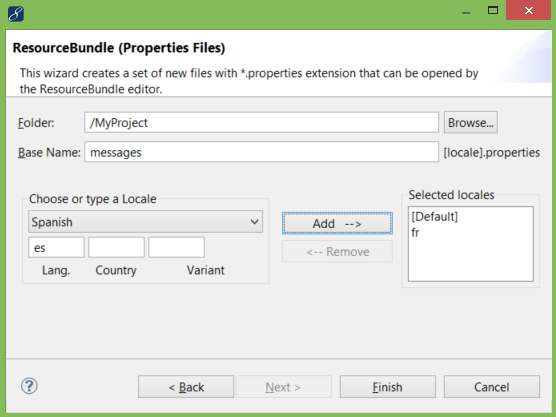 Localization of .properties files made easy! This Eclipse plugin is for editing Java resource bundles. It lets you manage all localized .properties files in one screen. 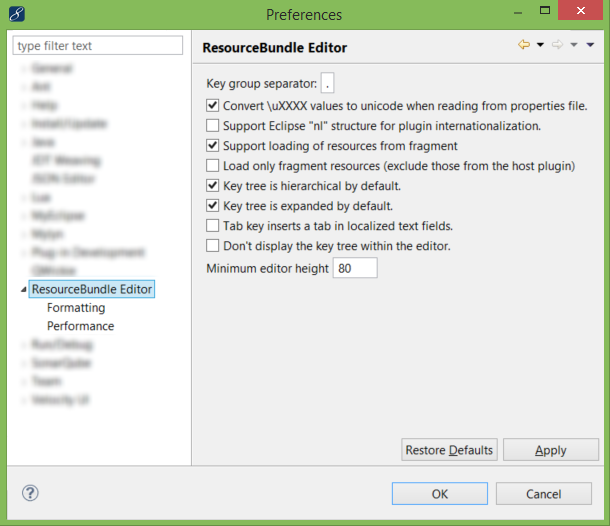 Some of its features include sorted keys, warning icons on missing keys/values, conversion to/from Unicode, hierarchical view of keys, and more. It is licensed under Apache License 2.0 and you are free to use it in any of your multi-lingual projects. It requires Java 7 or higher. 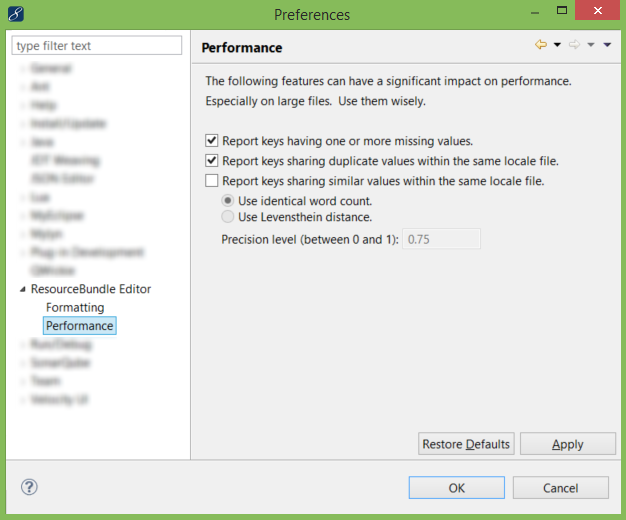 You can download the entire Update Site bundled with everything else in the above compressed package and create a new update site in Eclipse, pointing to your local directory where you expanded the package. 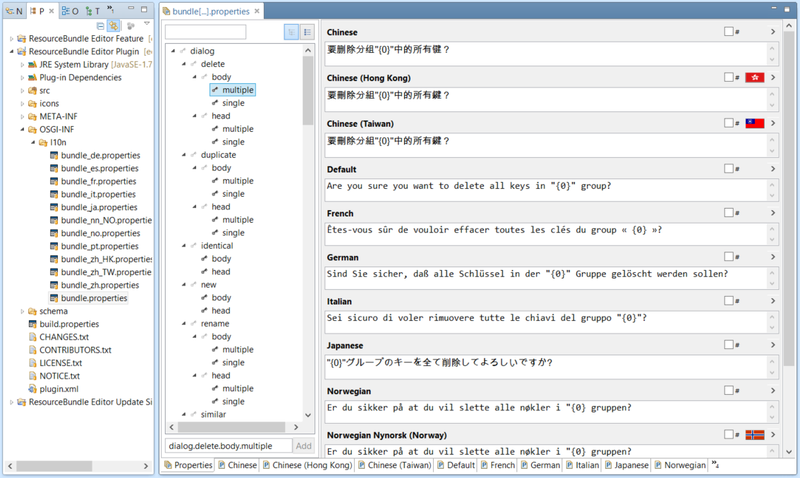 When editing in a language field, press TAB or SHIFT+TAB to move down/up the next/previous language field. 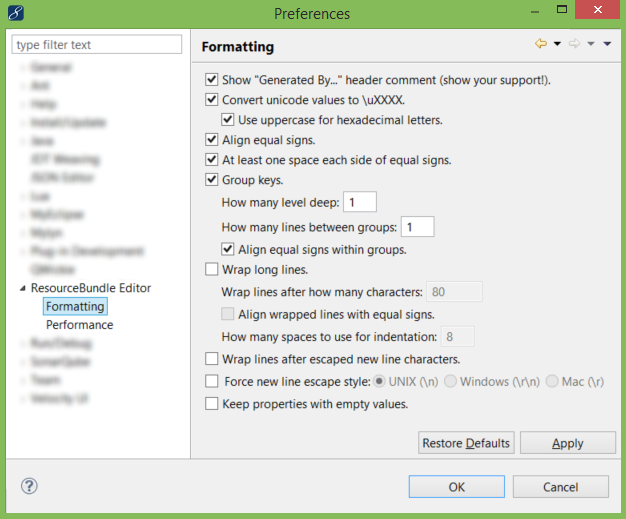 Keep in mind this feature will not work if you enable "Tab key inserts a tab in localized text fields" from the plugin preferences. When editing in a language field, use CTRL+UP_ARROW or CTRL+DOWN_ARROW to move up/down the key outline on the side and effectively change the message key you are editing. Post your issues or questions at https://github.com/essiembre/eclipse-rbe/issues. Since version 1.0.0, this plugin targets Eclipse 4.x and up. For older Eclipse releases, use older versions found on SourceForge. This plugin was originally hosted on SourceForge (https://sourceforge.net/projects/eclipse-rbe/). It has been migrated on July 2014. The SourceForge version is outdated and no longer maintained.